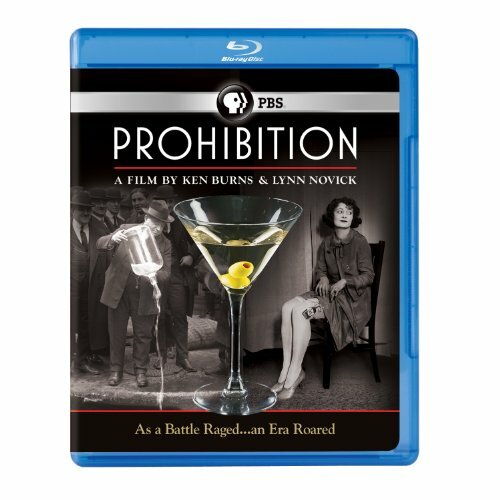 Ken Burns's and Lynn Novick's engaging, entertaining and enlightening documentary about the rise and fall of the 18th Amendment debuts on Blu-ray and DVD when Prohibition arrives on October 4, 2011 from PBS Home Video and Paramount Home Entertainment. A fascinating story that goes beyond the oft-told tales of gangsters, rum runners, flappers and speakeasies to raise profound questions about the proper role of government, individual rights and responsibilities. ACCLAIMED FILMMAKERS KEN BURNS AND LYNN NOVICK EXPLORE THE IDEALISM, FOLLY AND CONSEQUENCES OF AMERICA'S "NOBLE EXPERIMENT"
HOLLYWOOD, CA – Ken Burns's and Lynn Novick's engaging, entertaining and enlightening documentary about the rise and fall of the 18th Amendment debuts on Blu-ray and DVD when Prohibition arrives on October 4, 2011 from PBS Home Video and Paramount Home Entertainment. A fascinating story that goes beyond the oft-told tales of gangsters, rum runners, flappers and speakeasies to raise profound questions about the proper role of government, individual rights and responsibilities, Prohibition delves deep into how a society founded on individual freedom became a nation of scofflaws and hypocrites. Told through expert interviews, vintage footage and compelling images, the five-and-a-half hour film explores how the enshrining of a faith-driven moral code in the Constitution paradoxically caused millions of Americans to rethink their definition of morality. PBS Home Video furthers PBS's mission of lifelong learning by expanding the availability of PBS's top-quality programs. PBS is a private, nonprofit media enterprise that serves the nation's 355 public noncommercial television stations, reaching nearly 73 million people each week. Bringing diverse viewpoints to television and the Internet, PBS provides high-quality documentary and dramatic entertainment, and consistently dominates the most prestigious award competitions. PBS is a leading provider of educational materials for pre-K-12 teachers, and offers a broad array of educational services for adult learners. PBS' premier kids' TV programming and Web site, PBS KIDS Online (pbskids.org), continue to be one of parents' and teachers' most trusted learning environments for children. More information about PBS is available at pbs.org, one of the most visited dot-org Web sites on the Internet. PBS is headquartered in Arlington, Virginia.